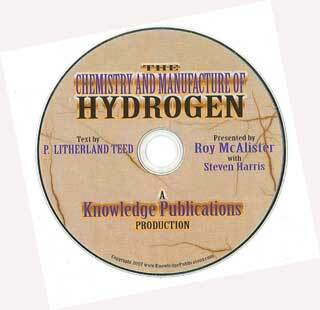 The DVD explains the text of the book in much greater detail, not just the simple chemistry but what can be DONE with the chemistry regarding hydrogen production for car fuel and home fuel and running it in engines and fuel cells. Roy and Steve go into lots of details. manuscript that start it all. 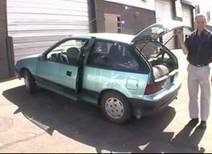 It also has the class room fuel cell addendum with it as well. 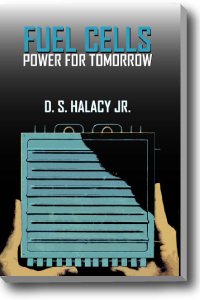 Dan Halacy is one of the great men of solar energy that were true heroes to young scientists and engineers in the solar energy era from the 1950s to the 1970s. Dan was a prolific writer and visionary. With a gifted insight into man and technology, he knew long ago where were heading. His book on fuel cells written in 1966 truly outclasses and undoubtedly outshines the palaver-filled trash that stands as the fuel cell books of today. With photos, drawings, illustrations and descriptions, Dan's book provides the in-depth details of the history, theory, operation and future of fuel cells. 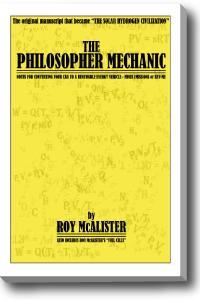 This book is written in simple language for all; NO PHD needed. You CAN make a Fuel Cell BIOBATTERY from reading this book or make electricity from things as simple as water, sugar and yeast. This is one of the few books in existence that explicitly gives you step-by-step instructions for making a fuel cell. You will be able to make a METHANOL FUEL CELL with this book. You do NOT need expensive and sensitive proton exchange membranes to make this fuel cell. You do not need hydrogen or oxygen; it runs on methanol and air! Save $5.00 When you get this combo! Besides gasoline and diesel oil, generator gas has been used to drive internal combustion engines almost since their invention. The generation of generator gas from wood and coal has been reliable and inexpensive compared to the use of gasoline and diesel oil for a long time but was generally only accepted during emergencies and war times. Although more than one reason accounts for this phenomenon, one of the most significant factors has been the required skill necessary to operate a generator gas engine system. 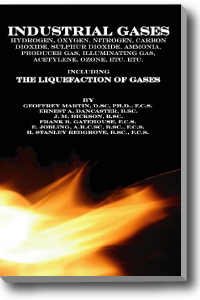 With chapters on the history generator gas engines, the chemistry of gasification, fuel, internal combustion engines and much more Small Scale Gas Producer Engine Systems, the seventh volume in the Hydrogen Generator Gas series, will help you to overcome that factor through knowledge and learning. The construction of a small gasifier including the purification system does not require sophisticated equipment or highly skilled mechanics, and although a generator gas engine system is built as a unit and fine tuned for successful operation, it is not necessary to develop special engines. Existing internal combustion engines can be used with few modifications. This great book will guide you to an in depth understanding of the gasification of coal and biomass, a valuable technology that is more than a century old, and will allow you to become thoroughly knowledgeable about the utilization of hydrogen generator gas in engine systems. Generator Gas The Swedish Experience 1939-1945 summarizes the scientific, technical and commercial information developed during World War II. While the world’s fossil liquid fuel supplies were being used to make war around the globe Sweden, cut off from fossil fuels, converted 40% of its entire motor vehicle fleet to burning wood. The gas generator for motor vehicles was developed at an astonishing speed during the war years. Once again we face a period when fossil liquid fuels are increasingly expensive. Because of economic and national security reasons many nations may well decide that they simply must find substitutes for fossil liquid fuels. Knowledge Publications has republished this book because the information that it contains can potentially save the enormous cost of rediscovering the data and experience gained by Sweden from 1939-1945. This work, which was translated by the Solar Energy Research Group, will enable anyone that is engaged in gasifier projects to build upon knowledge which the Swedes procured long ago. FUEL CELLS FOR PUBLIC UTILITY AND INDUSTRIAL POWER contains a massive amount of practical, down-to-earth technical information re­lating to fuel cells for power plants. Fuel cell based power plants offer one of the most interesting possibilities for fu­ture power generation. The fuel cell is potentially more efficient than conven­tional plants and since the fuel reacts electrochemically rather than by combustion, there are far less air, thermal, and noise pollution issues. 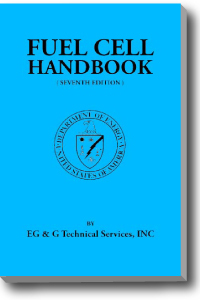 This book will inform you of the many advantages of Fuel Cells like the fact that they can be air-cooled and need not be adjacent to a body of water. It also points out important considerations for Fuel Cell public utility, such as the concept of modularity and efficiency considerations. With eight distinct sections ranging from “TYPES OF FUEL CELLS—THEIR OPERATION AND USE” and “ASSESSMENT OF FUELS FOR POWER GENERATION BY ELECTRIC UTILITY FUEL CELLS” to “FUEL CELLS FOR PUBLIC UTILITY APPLICATIONS—GENERAL” and “FUEL CELL POWER PLANT EVALUATION,” this book makes the advantages of small-scale fuel cell power units for smaller municipalities, large office complexes and shopping centers obvious. Hydrogen is attractive as a fuel of the future because it is abundant, relatively in­expensive and ecologically clean. Hydrogen gas can be burned in air, combining with oxygen to form water vapor, which eventually returns to the earth's water supply where it is again available as a source of fuel. Primary energy sources, e.g. nuclear or solar energy, can be utilized to produce hydrogen from water by electrolysis or thermochemical decomposition. The world's oceans, therefore, become vast reservoirs of a potential hydrogen source and the hydrogen itself becomes a means by which energy from the primary sources may be delivered to the consumer. However, the use of hydrogen as a uni­versal fuel necessitates the development and implementation of efficient, standard methods for storing and handling it. HYDROGEN TECHNOLOGY FOR ENERGY is primarily concerned with the technical aspects of storage and trans­mission systems for a proposed "hydrogen economy." Therefore, the various methods of producing hydrogen are not described in depth because they are im­portant to the hydrogen economy only insofar as the hydrogen must be produced in large quantities at reasonable cost. 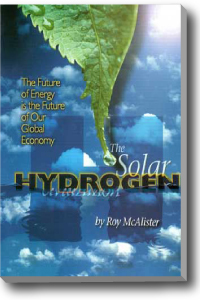 The first chapter describes the hydrogen economy and suggests how it can be integrated into the energy system of the United States. 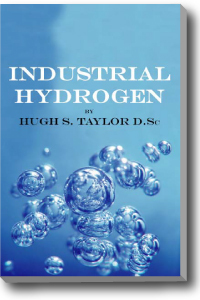 The next three chapters are concerned with the technology of handling the various forms of hydrogen—gaseous, liquid and solid (in the form of metal hydrides). The final chapters describe some of the work which has been done or is under­way in utilizing hydrogen as a fuel or energy storage system and delve into the safety, legal, political, socioeconomic and environmental impli­cations of a hydrogen economy. MULTIFUEL CAR DVD AND FREE ELECTROCHEMISTRY CLASS DVD $295.00 - SAVE $84.35!